WEDDING FLOWERS in Las Vegas? 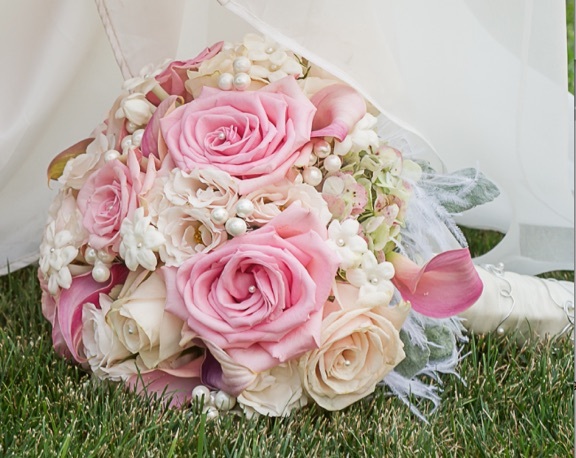 I Do Wedding Flowers is committed to providing our clients “personalized” service in floral design. From the initial consultation to the final design, we take pride in our attention to detail when creating your wedding, special event or custom floral order. Operating out of our private office and studio, our time and energy is focused on offering a unique blend of romance, passion, love and elegance represented by floral art. We work with you to insure that every piece has heartfelt meaning and inspiration for the people they were created for. Traveling to Las Vegas or other destinations? All bouquets/wedding party flowers in all the galleries can be made in silk or fabric and shipped. Please browse the Silk Wedding Flowers gallery.